This past Thursday was a major milestone for the Class of 2019 – it was the beginning of the end of our time at Tepper – 100 nights before graduation. Before my time as the Graduate Business Association’s (GBA) Vice President came to an end in mid-January, I planned a 100 Nights Party to commemorate this momentous occasion. 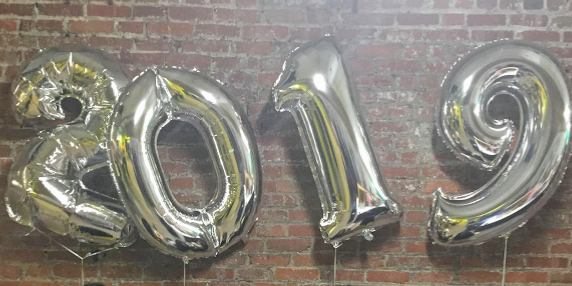 The party was meant to be part of our GBA’s legacy – a new tradition for soon-to-be Tepper grads! The 100 Nights Party was a true celebration of our MBA experience. 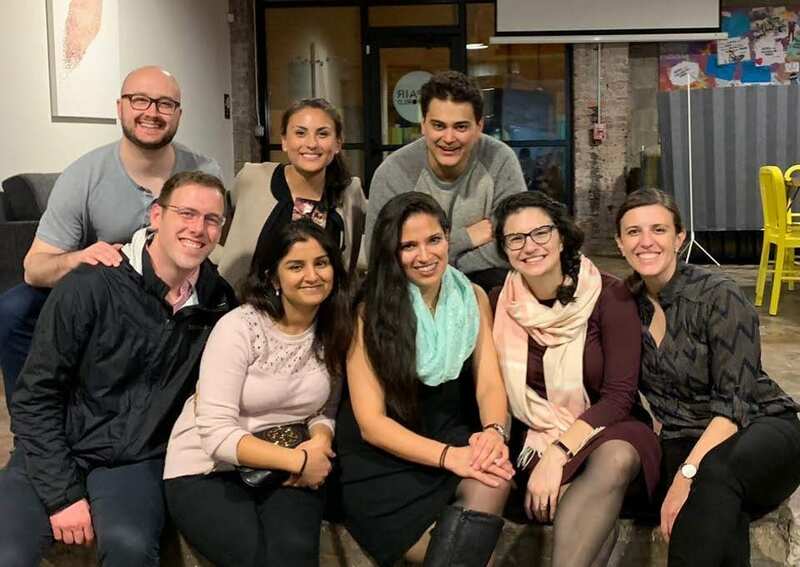 Held at a local venue before our weekly Bar Night (another Tepper tradition), the party emphasized everything that I loved about my Tepper experience – a tight knit community of friends and free food! Over 100 members of the Class of 2019 came out to start the countdown to graduation (photo below)! Q: In an organization, who fills a structural hole? The Class of 2019 has seven students named Brian – therefore, it came as no surprise that the winning trivia team (with three Brians) was named “40% Bryan.” They came back from last place with a strategic point bet in the bonus round, which involved a consulting-style case question about one of our classmates! Before coming to business school, I never realized how much free food we would receive – some weeks I do not even have to buy groceries! Thus, the party would not be complete without a variety of Tepper’s favorite catered foods. 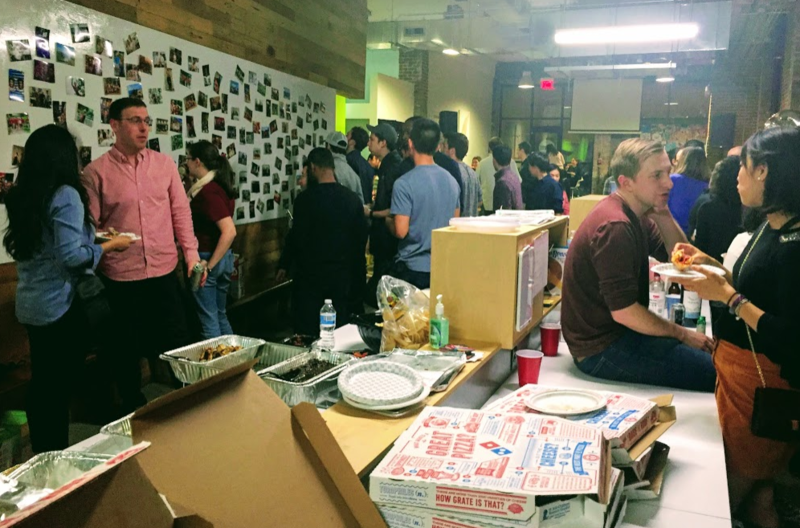 We served a sampling of Jimmy John’s, Panera Bread, All India, HoneyGrow, Moe’s, and Domino’s! It was quite the feast! Fun Fact: HoneyGrow is rapidly becoming a favorite of Tepper Students – the founder even came to speak at an event last year! This amazing night with our class would not have been possible without the best team at Tepper – the 2018 GBA! It was a wonderful opportunity for us to continue our goal of building community even after we left our formal positions. Being a part of the GBA will always be one of my favorite experiences at Tepper! From this crew of people, I learned so much about myself, leadership, and community-building (and also how to throw a pretty great graduation party!). As we finish Mini 3, the Class of 2019 will begin saying goodbye – many of our classmates will be graduating in March or traveling abroad to Hong Kong or Germany. As we all start to go our separate ways to become the business leaders of tomorrow, I am so grateful that we have the memory of our 100th night to look back on! Now on to planning Peak Week!